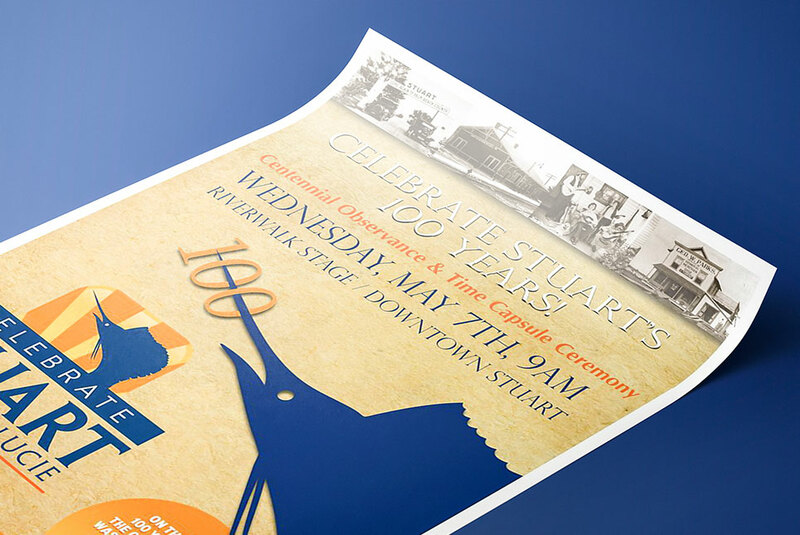 Congratulations to the City of Stuart on their 100th Birthday…Today! Multicolor Printing is proud to have been chosen to print the city’s Centennial Invitation Package and Poster. Hopefully, a copy of each piece will be added to the Time Capsule and be seen again 50 years from now as Multicolor Printing approaches its Centennial.